Blockbuster king James Cameron's offer to help BP stem the flow of oil from a leaking Gulf of Mexico well was spurned by the oil giant, even though the director says he knows his way around the ocean's depths. "Over the last few weeks I've watched, as we all have, with growing horror and heartache, watching what's happening in the Gulf and thinking those morons don't know what they're doing," Cameron said at the All Things Digital technology conference. 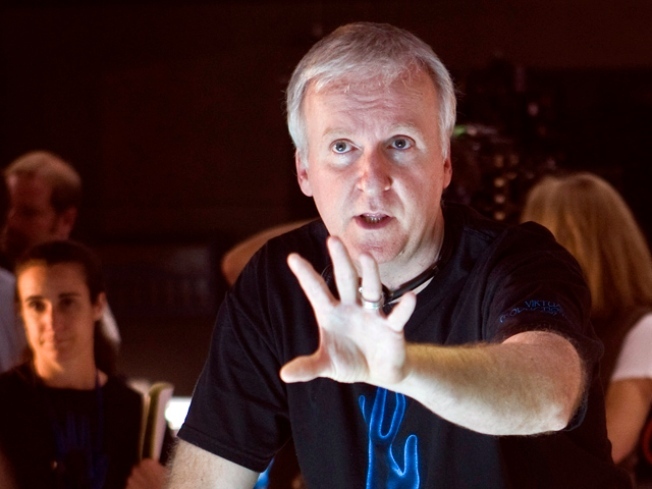 Cameron, the director of "The Abyss," "Titanic" and "Avatar," has worked extensively with robot submarines and is considered an expert in undersea filming. His comments came a day after he participated in a meeting at the U.S. Environmental Protection Agency headquarters in Washington to "brainstorm" solutions to the oil spill. Cameron said his offer to help was "graciously" turned away by the British energy company but said he has not spoken to the White House about his offer. So far, methods with names like "top hat," "top kill" and "junk shot" have failed. The first was a 100-ton containment box that was lowered onto the broken pipe but was unexpectedly rendered buoyant by gases rising from 13,000 feet beneath the seabed. The other methods basically involved clogging the pipe with debris including golf balls and old tires. All have flopped. BP is currently trying to slice the bent pipe and install a sealed dome on it once there is a straight section to cap. But experts believe the bend in the pipe is actually slowing the flow and that the new approach, even if successful, will at least temporarily increase the flow by as much as 20 percent. If it works, the dome will allow BP to siphon the oil upward to a waiting ship. The gambit hit a snag Wednesday, when the diamond-tipped saw got stuck. But officials hoped to get it working again quickly. Meanwhile, BP is trying a longer-term approach, drilling diagonally through bedrock toward the pipeline, a method that could intercept the erupting oil but is more than a month away from fruition. The growing oil slick has reached the shores of Louisiana, Alabama and Mississippi and is just nine miles from the coast of Florida, according to officials. Cameron believes he could be of service, especially in directing robots at the mile-deep leak site. The company has tried several gambits to stanch the leak, which began on April 20, when the Deepwater Horizon rig exploded in a fireball. "I know really, really, really smart people that work typically at depths much greater than what that well is at," Cameron said. While acknowledging that his contacts in the deep-sea industry do not drill for oil, Cameron said that they are accustomed to operating various underwater vehicles and electronic optical fiber systems. "Most importantly," he added, "they know the engineering that it requires to get something done at that depth."